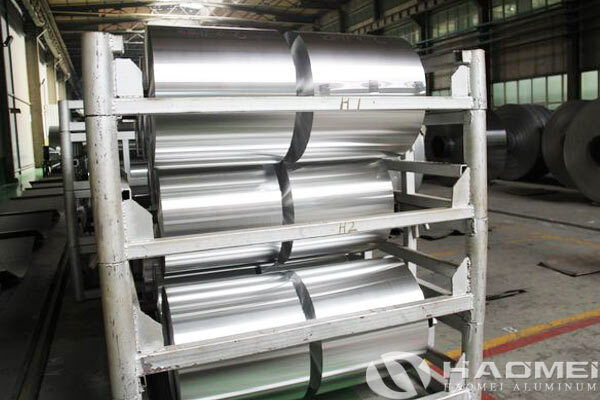 The aluminum foil jumbo roll is made by rolling through a plurality of processes after the original aluminum alloy, and has no harmful substances such as heavy metals. In the production process of 3003 8011 aluminum foil jumbo roll for food containers, high temperature annealing and disinfection process is adopted. Therefore, the aluminum foil containers can be safely contacted with food, and does not accommodate or help bacteria to grow. Aluminum foil has a high conductivity that minimizes the time and energy associated with food processing, refrigeration and secondary heating. The aluminum foil has good thermal stability, during the processing and packaging process, the aluminum foil food container can withstand the temperature change well, and the molecular structure stability does not change. Aluminum foil for food containers can be used from fast freezing to extreme baking and grilling. During this period, the aluminum foil is not deformed, cracked, melted or charred, and does not produce harmful substances. Separate high-temperature charcoal fire and smoke with aluminum foil container to avoid carcinogenic substances caused by food scorching. Aluminum foil containers are ideal for high temperature sterilization and heat sealing. Aluminum foil food containers can be heated in a variety of ways, including in ovens, anaerobic heating cabinets, steamers and pressure cookers. Aluminum foil jumbo roll for food containers 3003 8011 are the ideal material for making containers for restaurants, airlines and trains.